Chill out and beat the heat at the coolest place in Gulfport! 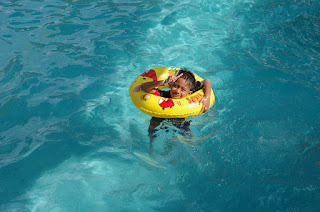 Gulf Islands Waterpark is the place to be for wet and wild fun for the whole family. Have a blast and get soaked on the amazing rides and the longest, wildest slides! The park's unique attractions have something to suit every style. Whether you’re looking to be blasted around and down tubular tracks or simply float and lounge about, Gulf Islands has you covered. So come on down and cool off at Gulfport’s #1 Attraction: Gulf Islands Waterpark and get the BEST DEAL on tickets by booking online below! Summer fun is the name of the game when you visit Gulf Islands Waterpark. 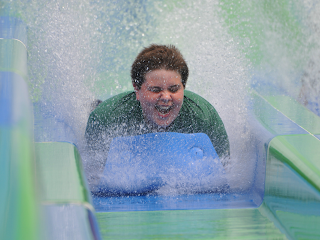 Their wild rides, luxurious cabanas, and miles of slides means cool fun in the hot, hot heat. The waterpark is one of the most popular family-friendly activities in Gulfport for good reason. For example, the Horn Island Blaster is the Gulf Coast’s first and only water roller coaster, taking you through 500 feet of twists and drops! In addition to the abundance of classic waterpark action, Gulf Islands also hosts special events like celebrity Meet & Greets with stars from Nickelodeon and Disney. Even more, the park has sweet Live Music sets, Sea Lion Shows, and Frisbee Dog Shows to boot! Finally, Petit Bois Island Cafe serves top-notch eats and cold drinks all day! Relax and kick back under the cabana, if you need it, they have it! Hours - 7 days a week, Friday and Saturday 10:00am - 7:00pm and Sunday through Thursday 10:00pm - 6:00pm. Hours - 7 days a week. Specific Hours and Tour Times Vary by Day.